Bharti Singh and Harsh Limbachyaa roped in for The Kapil Sharma Show! Home Garam News Bharti Singh and Harsh Limbachiyaa roped in for The Kapil Sharma Show! Seems like, things are getting better for the comedian Kapil Sharma, after facing a severe downfall for The Kapil Sharma Show. Kapil Sharma recently gave a warm welcome to old friend and comedian Chandan Prabhakar on the show as the good old tea-seller. 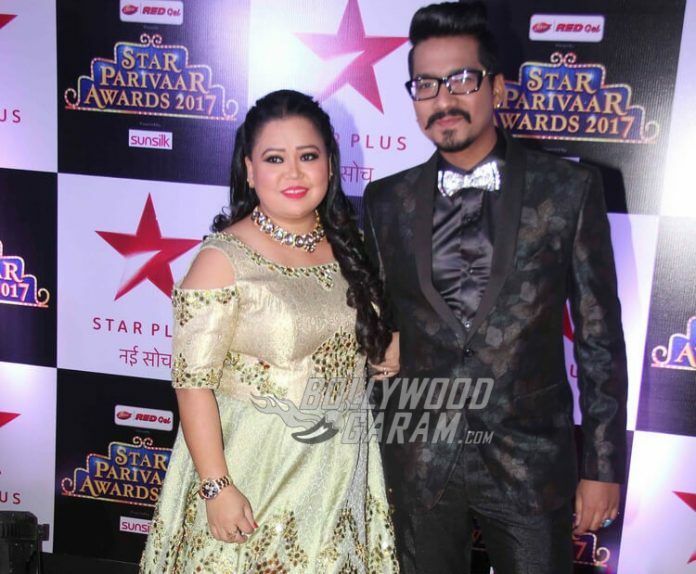 It has been confirmed that Bharti Singh and Harsh Limbachyaa (her fiancé) will be a part of The Kapil Sharma Show as he will be writing the script for her. The surprising part is that Bharti will not be a part of Krushna Abhishek’s new show Comedy Company on the same channel. On the other hand Chandan Prabhakar has made a come-back to The Kapil Sharma Show after a gap of three months. Many of the actors from the show had quit after an alleged mid air brawl of the host with the comedian Sunil Grover aka Dr. Mashoor Gulati as we all know him best. One of the top rated shows faced the most severe setback after its actors Sunil Grover, Chandan Prabhakar and Ali Asgar left the show. And now the audience is just waiting for the other two actors to return. In related news, the comedienne was recently hospitalized owing to liver ailments whist Bharti Singh and Harsh Limbachyaa were practicing for their performance at Nach Baliye 8 grand finale. Owing to her ailment, the duo had to skip the grand finale. Bharti was discharged from the hospital after a few days and has assured fans that she is feeling better now. Stay tuned for latest updated on The Kapil Sharma Show exclusively on Bollywood Garam!